This month “The Perfect Blindside” won a silver medal – just like the book’s hero Jake! I’m very excited about this honor but must give the glory to God who placed this story on my heart and in my mind. I pray this recognition will help me further my message of finding and using your gifts from God to help others. When I first found out my book was going to be published I was ecstatic. I had dreamt about it for years but I didn’t really think much about what would happen if my dream ever did come true. I had heard over the years, from authors, that the marketing aspect of the profession was the tough part. It’s not that I doubted that assessment but at the time I was totally focused on actually getting published and thought – gee, stop complaining, I wish I had such problems. Getting the word out about the book is tricky and rather time consuming but last week I was blessed with a full week of indepth marketing activities. A school visit to share my message with an 8th grade class, a radio interview, a bookstore meet and greet, and a library event with 7 other authors. These of course are great opportunities and I was thrilled to have them but for someone who would prefer sitting on the couch wearing pajamas and being creative from the comforts of her own home – these things are terrifying. Standing up in front a room full of people to give a speech is one of the worst things I can imagine. Thinking on my feet while being asked unknown questions for an audience is something I’m completely terrible at. The added stress of having to do this while “on air” makes me feel like hiding under the bed. The underlying theme of my book is about using your gifts from God to help others. 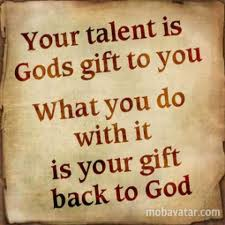 This is a belief I feel passionate about but I can’t help but wonder if God is chuckling a little because while I spread the message of using our gifts I am having to face my biggest fears and use skills that are definitely not among my talents. Of course God was faithful and answered my prayers. Some events went better than others but with His grace I made it through them all. To my delight those middle school students were sweet, attentive and had a ton of great questions. The radio interview was an interesting experience which I’m not sure I care to repeat but learned a lot if there ever is a next time. At the bookstore I did sit there most of the time with no one buying the book as a snowstorm howled outside keeping the patrons away but I survived it. 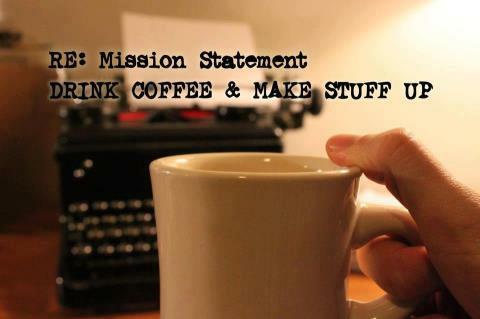 And in the process I met some wonderful people and came away with some great ideas for my sequel. And at my library event, I was able to connect with some other authors who shared some marketing tips and was blessed by the encouragement of several friends who came to support me. I’m not sure I’ll ever feel comfortable with this part of my writing journey but as I told the middle school students during my presentation – we don’t always know what God’s plan is for us but if we say yes he will always lead us in amazing ways. I said “yes” to this journey when I began to write The Perfect Blindside and I guess I should take my own advice and enjoy the incredible ride. Fresh off a championship medal, Jake is becoming overwhelmed by everyone who wants something from him: reporters, fans, girls, companies, his parents. He can’t figure out who is real and who just wants something. To top it all off, his parents have dragged him to a middle-of-nowhere town in Colorado, far away from his teammates and anything interesting. Then there’s smart and savvy Sophie. She has spent the summer before her junior year of high school following Jake Taylor, recent snowboarding sensation, in every magazine and article she could find. Now he’s moved into Silver Springs and she finds out what the reporters and everyone else seems to have missed Jake’s letting the fame go to his head. He’s just a jerk and Sophie has no respect or patience for that. Peaceful Silver Springs, however, has an even bigger problem than Jake’s inflated ego. Wildlife is dying inexplicably, tires are getting slashed, and everything seems to be falling apart. Can Jake and Sophie work out their differences to discover what’s really been happening at the abandoned silver mine? Follow Sophie and Jake into secret tunnels as they unravel the mystery and challenge each other to become who God wants them to be. 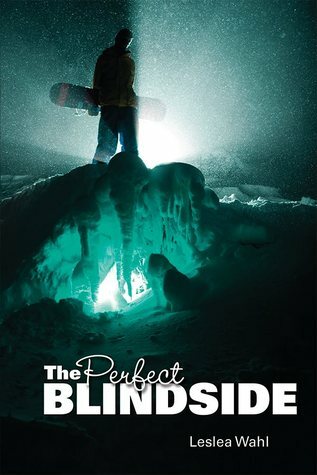 Exceptionally well written and a thoroughly absorbing read from beginning to end, “The Perfect Blindside” is very highly recommended for high school and community library YA Fiction collections. Below is a new review on my book. 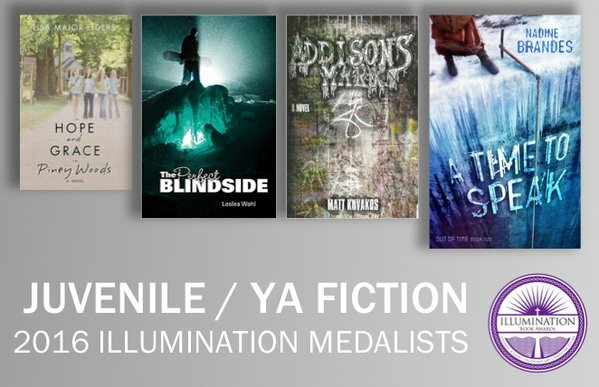 I’m so thankful that people are responding and understanding my vision for teen fiction. Today I am excited to share with you the very first one more catholic book review! 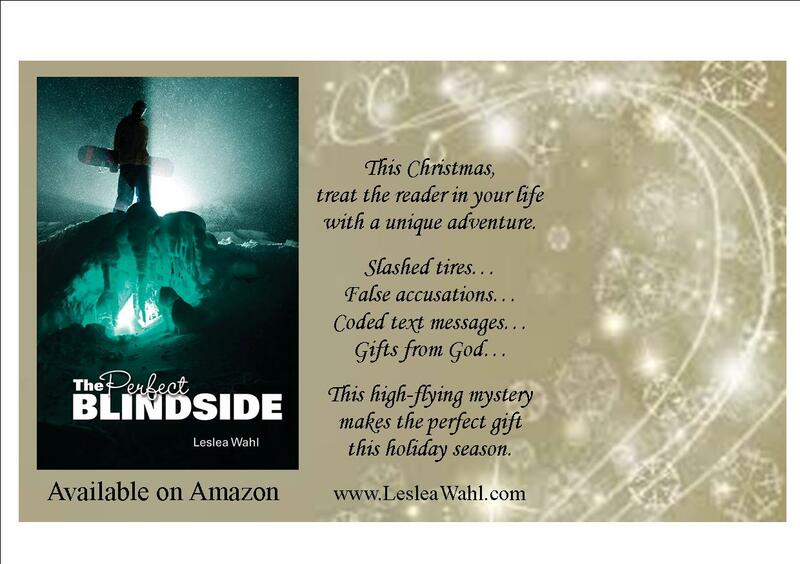 Cathy Knipper of Pauline Media asked me to review Leslea Wahl‘s The Perfect Blindside, a novel for Catholic teens. First, I want to applaud Wahl for telling a realistic story, weaving in the Catholic faith artfully without overwhelming her readers or detracting from the plot. When I was a young teenager, many of the Christian teen novels I read frustrated me because they were cheesy; the characters, model Christians in constant inner dialogue with the Lord, lacked depth. WithThe Perfect Blindside, Leslea Wahl strikes a harmonious balance between the Catholic faith and her moving story. The Perfect Blindside shifts between the first-person voices of characters Sophie and Jake (i.e., every other chapter is Sophie’s perspective). Sophie Metcalf, fed up with the antics of arrogant snowboarding prodigy Jake Taylor, sets out to expose his true character. Sophie, a gentle and intelligent high school junior, despises Jake for moving to her small Colorado town. Jake wants only to focus on snowboarding and his newfound Olympic fame. But a series of odd circumstances surrounding an old silver mine forces Jake and Sophie to become partners, amateur sleuths in a puzzling mystery. Unlike the empty Christian characters I became accustomed to as a young teenager, Sophie deals with the typical struggles of her teenage life while learning to rely on God. The Perfect Blindside is not about Sophie’s prayer life; it is the tale of Sophie and Jake and a perplexing crime. Sophie’s quiet, faithful devotion to the Lord adds depth to her character and offers a connection with young readers who are trying to live out their Catholic faith in a secular world. What I love most about The Perfect Blindside is that Sophie and Jake are normal teenagers. They are not young Christian robots, nor are they rebellious teenaged runaways experiencing major conversions. Sophie and Jake are simply teenagers who struggle with relationships, the Catholic faith, listening to their parents, and avoiding risky situations. They deal with crushes and mean girls at school. They use cell phones and shop at the local mall. Young readers can connect with Sophie and Jake. The first-person perspective shifts allow for both girls and boys to relate with the characters. Drama and mystery lurk within each chapter so that the reader never bores. Thank you, Pauline Media, for allowing me to review The Perfect Blindside. I recommend this book to teens, tweens, and Catholic parents searching for wholesome, intriguing novels for their children! The Perfect Blindside is the book I wish I had read as a young teenager. You can enter a giveaway for the book here. 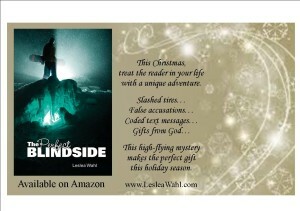 For more reviews, or to purchase The Perfect Blindside, look here and here. Pauline Books & Media provided me with a free copy of The Perfect Blindside in exchange for an honest review. It is with that in mind that I know my husband and I have to make sure our almost teen is presented with the right type of reading material. We do not believe in isolating him from society, but we do believe in insulating. He plays baseball and takes karate and is around non-homeschooled children on many occasions. Even when watching appropriate TV shows, he sees commercials we would rather him not see. He asks a lot of questions and we have constant dialogue. I have to be honest, at first, the chapters going back and forth between perspectives of the main characters Jake and Sophie, put me off. Chapter 1 was Jake’s perspective, Chapter 2 was Sophie’s perspective… back and forth it went. But after the second chapter, I got it… and I really liked it. It’s different and frankly, I hope there are more books coming about these two and their little town. This book is about good, old-fashioned mystery solved by two teenagers that could not have misjudged one-another more… and I love it! We talk to our children about expectations and judgments. We tell them that things are not always what they seem… that people are not always what we perceive… that situations that may seem ______ could turn out to be ______. You just NEVER know until you get to know someone or go to the _______________. I left those blank intentionally because there are a zillion things any one of you may put in those blanks. Jake. Olympic Snowboarder with a silver medal. Egotistical. Teen sensation. Struggling with all the normal teen stuff AND how to manage fame. His parents moved him to a little town in Colorado in an effort to shield him from fame. And he’s torn between being cool in everyone’s eyes AND wanting to fit in like everyone else. Sophie. Honors student. Budding Photographer/Reporter. Small town sweetheart. Judgmental and a little bit OCD. She and her best friend Kate are like so many teen girls. It made me smile when they planned their first day of school outfits (we all used to… awww). There are many twists and turns in this classic story about two people so determined not to like one-another that it becomes all they think about. They struggle with jealousy and insecurity. They struggle with their families, who are really good families (but teens struggle with authority figures). They struggle with other teens at school (you know, some teens can be so cruel). Through a series of unexpected events these two teens have to work together, learn to trust each other, and be humble enough to do God’s will… in order to save Jake’s reputation and their small town from a drug ring. SO exciting! This book is about learning virtues; appreciating the talents God gave us, and working together for the betterment of God and His people. And this book is a great book to have your teens read. The way Mrs. Wahl writes is exceptional. I highly recommend it. I’m so thankful I read it! 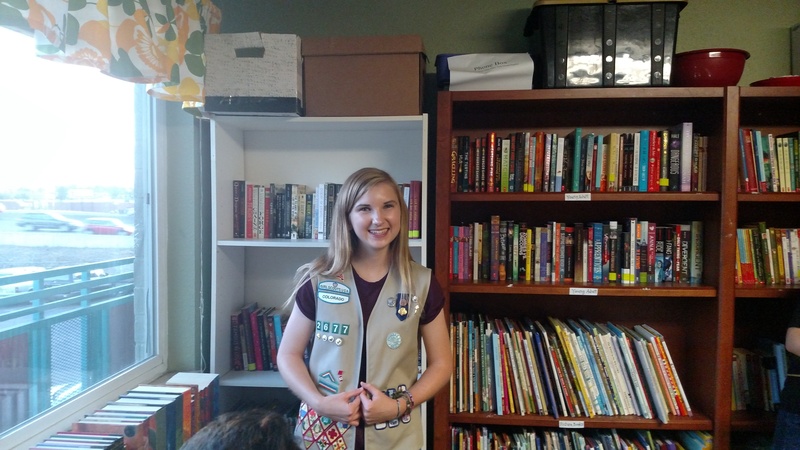 A few weeks back I introduced you to Cassidy Klein and her incredible project through the Girl Scouts of America to create a library at the Joshua Station transitional housing facility here in Denver. The Tattered Cover bookstore collected donated books for the project and even donated one new book for every 10 books brought in. I had the wonderful opportunity last week to attend the Grand Opening of the library. I was so honored to be there. 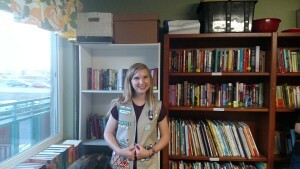 Cassidy worked very hard to create this special place filled with books and comfy couches. The library is a beautiful space for families facing difficult times to share with their children. It was truly touching to see the joy on the faces of the children as they celebrated this event. I’m so proud of Cassidy and the amazing work she has done. She’s truly using her gifts to help other. Giveaway ends October 10, 2015. So grateful for this week. I’ve heard from 7 local bookstores that are interested in carrying the book – including The Tattered Cover. And due to great reviews, the book has now been listed as an Amazon Prime product. I’m excited to see where God leads me!